Safety Grating is widely used in industrial and public settings, providing security by improving traction in many environments and conditions. These products help prevent injuries, safeguard company personnel, and minimize worker compensation expenses. 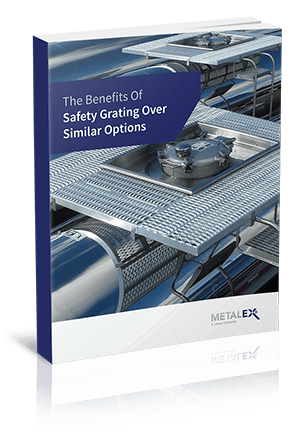 In our eBook, "The Benefits of Safety Grating Over Similar Options," we discuss the factors to consider when choosing the right Safety Grating for your application and go into detail about the varieties offered by Metalex. Fill out the form to learn more about the benefits of Safety Grating and to discover which is right for you.